If you spent the whole weekend trying to play Uncharted 4but getting constantly distracted by vistas to take screenshots of, you're not alone. Nate's ultra beautiful adventures on PS4 sold more than 2.7 million copies globally in in the game's first week alone. This combo of physical and digital copies makes it the fastest-selling PS4 first party title in the PAL region. Uncharted 4 is still at the top of the official UK games charts this week after a 78% drop off from launch day. Despite the steep drop, Nate's still holding off Doom which is sitting at number two after a 35% drop in sales from the week before. 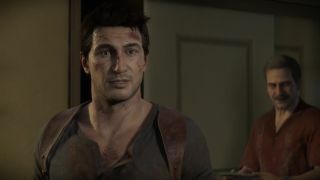 That sales drop makes sense given the anticipation and positive early feedback for Uncharted that everyone would flood out to buy on release day. Doom presumably has a slower drop off as word of mouth and a great reception got around post launch.